The Iowa test is a nationally normed, standardized test that offers parents and educators a diagnostic look at how students are progressing in key academic areas. The CogAT test measures children's reasoning abilities for verbal, nonverbal and quantitative reasoning. 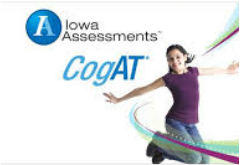 Monroe Catholic Elementary Schools administers both the Iowa test to first through eighth grades, and the CogAT test to students in First, Third, Fifth and Seventh grades in Partnership with the AOD. The Iowa and CogAT tests are administered are administered . Please mark your calendars accordingly as all students need to arrive promptly during testing week. Below are some helpful tips to help prepare your children during testing week. Plan to be in attendance during testing week as it has been shown that children test better with their group of peers. Help your child(ren) get a good night's sleep the weekend prior to testing and each night during testing week. Ensure students eat healthy breakfasts. While these tests help us evaluate student progress, please keep in mind that the test results do not determine your child's advancement to the next grade. We try to keep testing-week stress to a minimum.